Not that long to go before we see The Kingsman helping to save the world. 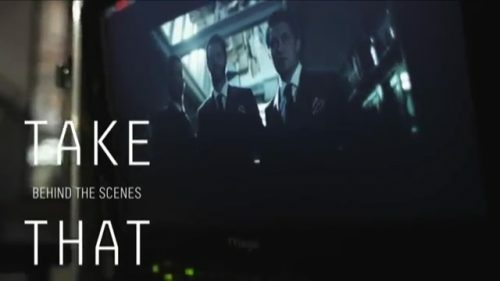 With that, we’ve been sent over a nice behind-the-scenes feature from Take That whilst they were making the video for Get Ready For It. It has a nice couple of pieces. Especially when they are showing us around the tailors that was, also, used in the film. Not only that, we also see a nice cameo from one of the stars of the film. TO find out who, just watch the feature and you can get the answer. Not only that, we give you the full video so you can see how it all comes together. not only the band but the clips and stars from the film are all interlinked.